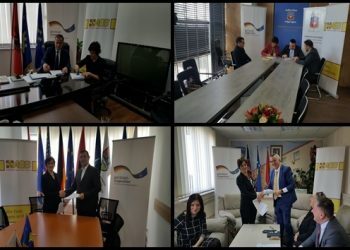 During the month of March, “Arbeiter Samariter Bund-ASB” Kosovo with the representative Dafina Hoxha and mayors of the municipalities of Obilic, Maliseva, Lipjan and Gracanica signed Memorandums of Understanding for the implementation of the project “Integrated Socio-Economic Support to most vulnerable Families” funded by the German Foreign Ministry. The ceremonies were attended by the Mayors of the municipalities, Directors of the Directories for Health and Social Wellness and other municipal officials, as well as the representative of ASB Kosovo. The purpose of this project is to support fifty five families in need in the above mentioned municipalities, in order to improve their living conditions and help them establish new family businesses. It is for certain that these agreements will strengthen the future prospects of these families, confirming their economic sustainability and social inclusion. 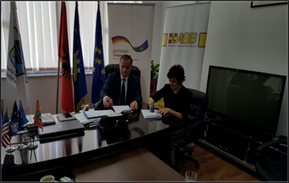 The Mayor of the municipality of Malisheva Mr. Ragip Begaj shared his enthusiasm to work in this project, bearing in mind the successful cooperation with ASB in different projects for several years now. According to the memorandum ten (10) families will receive support in this municipality. 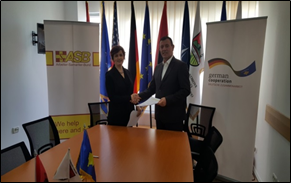 ASB Kosovo represented by Dafina Hoxha also signed a Memorandum of Understanding with the Municipality of Gracanica. Representatives of the municipality, the Mayor Mr.Srdjan Popovic and Director of the Directorate for Health and Social Welfare Mr.Aleksandar Popovic expressed their willingness and readiness to cooperate in supporting ten (10) families in this municipality. Mr.Imri Ahmeti, the Mayor of the Municipality of Lipjan expressed his joy and inclination to cooperate with ASB Kosovo. He talked about the success of the project in this municipality in the past, and agreed to offer his contribution in supporting fifteen (15) families in need.